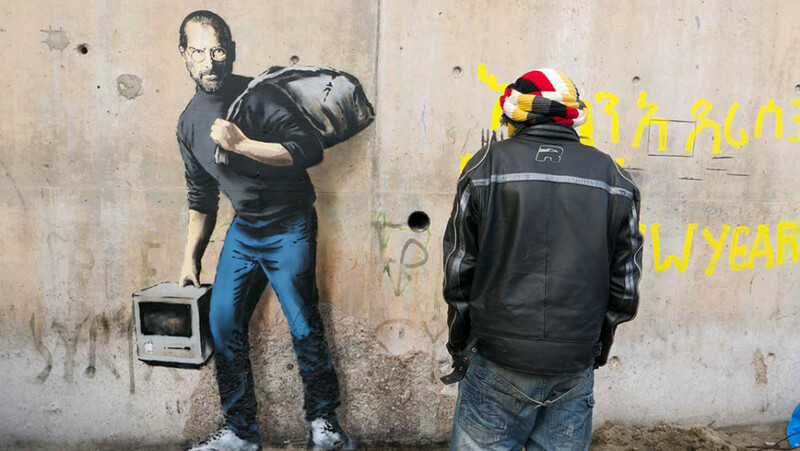 Banksy explained: “We’re often led to believe migration is a drain on the country’s resources, but Steve Jobs was the son of a Syrian migrant. Apple is the world’s most profitable company, it pays over $7 billion a year in taxes—and it only exists because they allowed in a young man from Homs.” Do I need to add about the importance of migrants in high-tech entrepreneurship? If yes, just read again AnnaLee Saxenian, Migration, Silicon Valley, and Entrepreneurship. 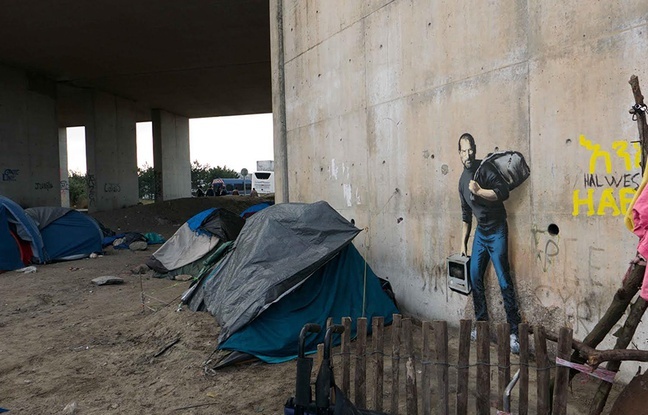 This entry was posted in Silicon Valley and Europe, Street Art and tagged Art, Banksy, Immigrant, Street Art on December 15, 2015 by Hervé Lebret. How do you measure your entrepreneurial ecosystem? where “young” can mean less than five or ten years old. This will tell you, in the most basic way, how the level of entrepreneurship changes over time relative to population. 2- Share of employment accounted for by new and young companies. Entrepreneurial vibrancy should not just be measured by the number of companies — it also should include all the people involved in those companies. This will capture founders and employees. 3- Density of new and young companies in terms of specific sectors. Some places already may have a particular economic sector that has been identified as the centerpiece of an ecosystem, such as “creative” industries or manufacturing. Again using population as a denominator. 4- Population flux, or individuals moving between cities or regions. Entrepreneurial vibrancy means people both coming and going. From an ecosystem perspective, this means that the entrepreneurial environment must be fluid to enable entrepreneurs to engage. The obverse, of course, is that limits on fluidity will suppress entrepreneurial vibrancy. 5- Population flux within a given region. Individuals also need to be able to find the right match with different jobs within a region. The pace at which they are able to move from job to job and between organizations should be an important indicator of vibrancy. which are responsible for a disproportionate share of job creation and innovation. A concentration of high-growth firms will indicate whether or not entrepreneurs are able to allocate resources to more productive uses. Importantly, high growth is not necessarily synonymous with high tech. 7- Connectivity with respect to programs, or resources, for entrepreneurs. A vibrant entrepreneurial ecosystem is not simply a collection of isolated elements — the connections between the elements matter just as much as the elements themselves. The diversity of your entrepreneurial population is likely to be high, and a one-stop shop for serving entrepreneurs is unlikely to do much good in serving all of them. 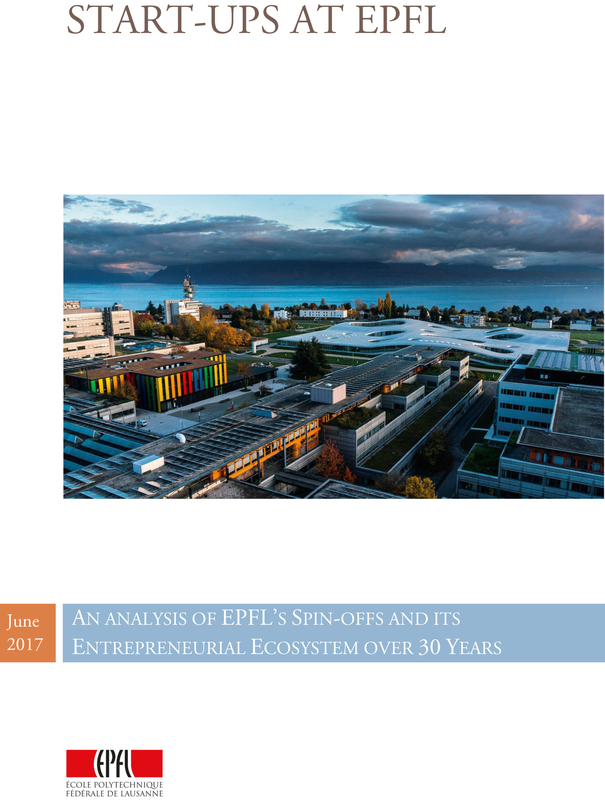 Entrepreneurs move through an ecosystem, piecing together knowledge and assistance from different sources, and the connectivity of supporting organizations should help underpin the development of a strong entrepreneurial network. The entrepreneurial “genealogy” of a given region, as measured by links between entrepreneurs and existing companies, is an important indicator of sustained vibrancy. Individuals with valuable social capital, who have deep fiduciary ties within regional economies and act in the role of mediating relationships, making connections and facilitating new firm formation play a critical role in a vibrant entrepreneurial ecosystem. an important concept because no city or region should be overly reliant on one particular industry. At a country level, research has shown that economic complexity is correlated with growth and innovation. 11- Attraction and assimilation of immigrants. 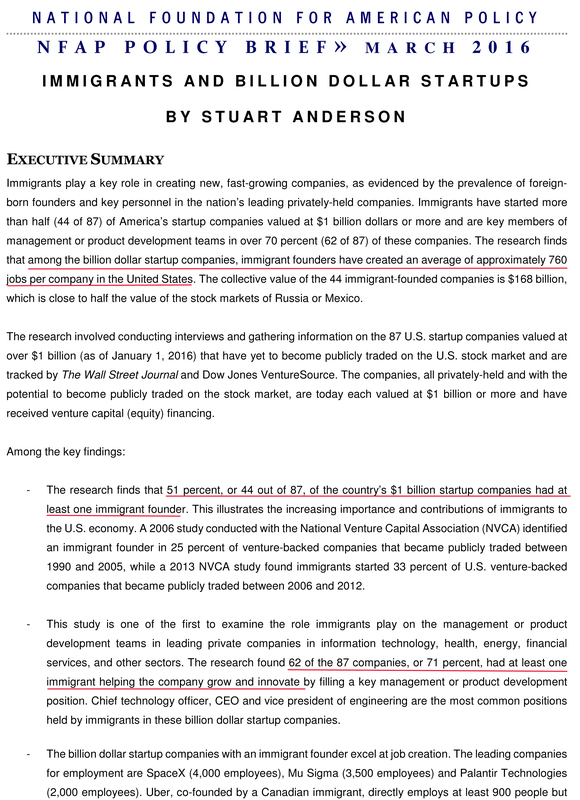 Historically, immigrants have a very high entrepreneurial propensity. i.e. the probability of moving up or down the economic ladder between different income quintiles. The purpose is to improve the quality of life for your citizens, to expand opportunity, and to create a virtuous circle of opportunity, growth, and prosperity. This entry was posted in Innovation and tagged Ecosystems, Entrepreneurship, Immigrant, Innovation on March 26, 2015 by Hervé Lebret. AnnaLee Saxenian, Migration, Silicon Valley, and Entrepreneurship. Shame on me! How is it possible I mention so little AnnaLee Saxenian in this blog, as well as the importance of migrants in entrepreneurship? I had shortly mentioned Regional Advantage in Silicon Valley – more of the same?, but this was more about the openness of Silicon Valley culture and why it did a better job than the Boston area. It might be because migration was a big feature of my book and nothing new came out thereafter even if the topic is of utmost importance. So let me address the topic of Immigrants again now. 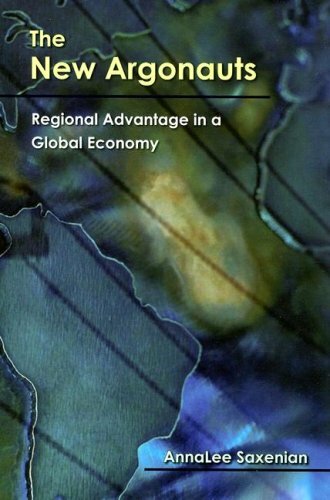 In her second book, published in 2006, The New Argonauts: Regional Advantage in a Global Economy Saxenian analyzed the importance of migrants in high-tech entrepreneurship, both for the USA and for the countries of origin of these migrants. Saxenian has a long history on the topic. She began in 1999 when she published Silicon Valley’s New Immigrant Entrepreneurs. 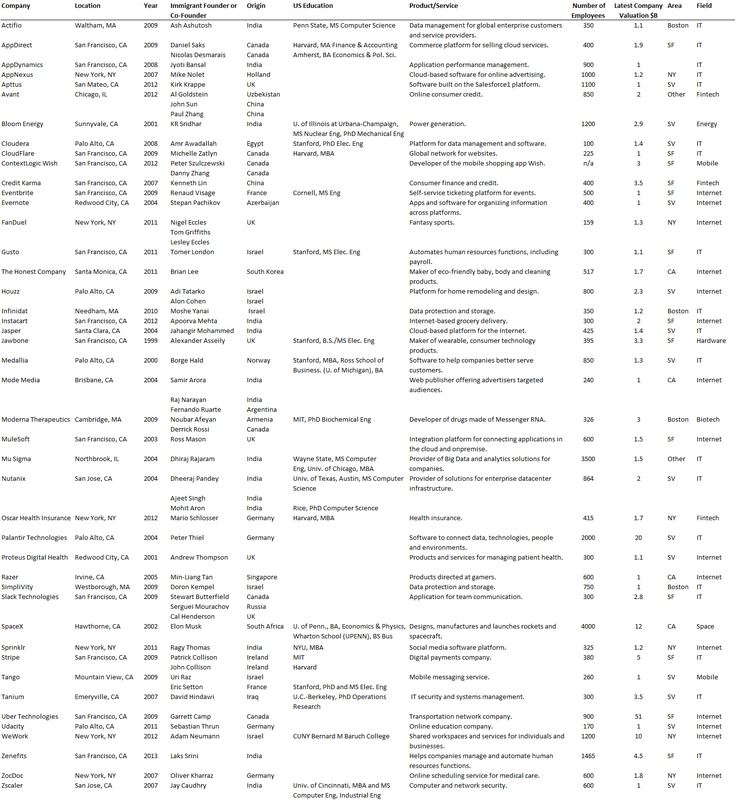 In two related studies, Saxenian and colleagues had a much deeper quantitative analysis. 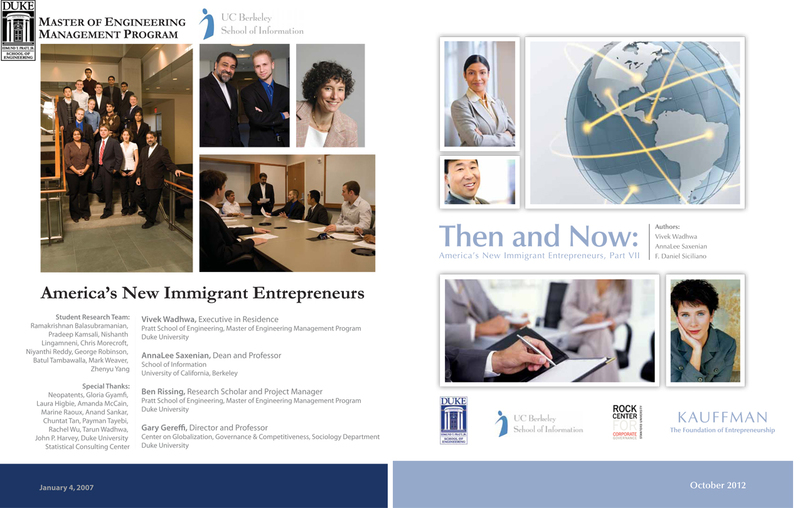 These were America’s New Immigrant Entrepreneurs in 2007 by Vivek Wadhwa, AnnaLee Saxenian, Ben Rissing, and Gary Gereffi; it was updated in 2012 in America’s New Immigrant Entrepreneurs: – Then and Now written by Vivek Wadhwa, AnnaLee Saxenian and F. Daniel Siciliano. This entry was posted in Silicon Valley and Europe and tagged Immigrant, Saxenian on June 26, 2013 by Hervé Lebret. 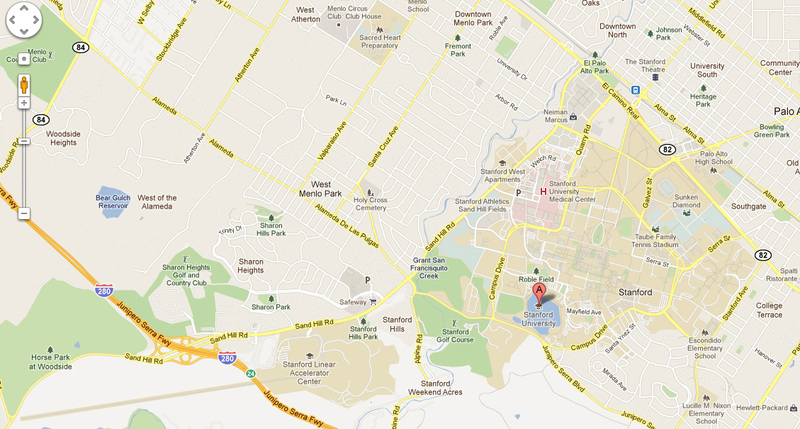 Monday it was about Russia’s Skolkovo, which I had mentioned in a post a few months ago. I did not know at all Kenya’s Konza, and this was really refreshing. You cannot avoid China, but here also surprise, surprise, it was not Shanghai neither Shenzhen, but Zhongguancun. 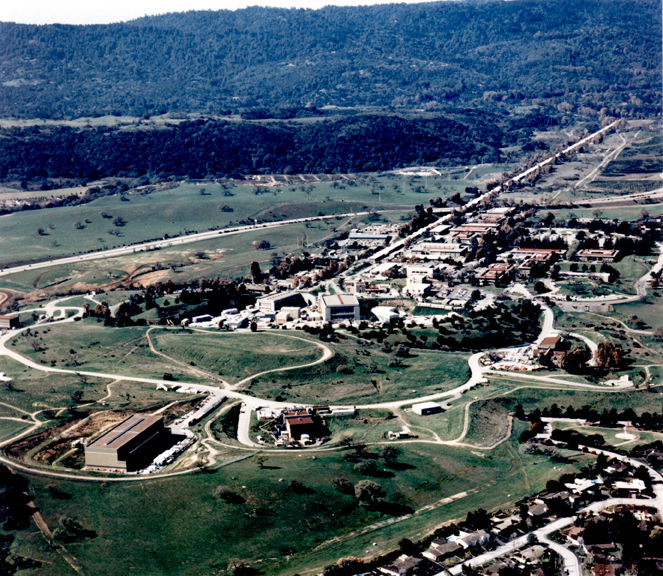 I had heard of Startup Chile, because Stanford supports the experiment in South America. Finally, I could comment the stimulating British case, the Silicon Roundabout, in East London. You can listen to or download the mp3 file (in French). A spontaneous emerging cluster, a name given by a local entrepreneur, no real support by decision makers, at least in the beginning and a nice and enthusiastic atmosphere. And all this attracts people from abroad. Is this finally the cluster Europe has been waiting for? We shall see… The experiment is really interesting and if you want to know more, you may wish to read (French) Le Monde, Le “Silicon Roundabout”, un succès britannique, or The Economist, Silicon Roundabout. This entry was posted in Silicon Valley and Europe and tagged China, Cluster, Immigrant, Innovation, Passion, Silicon Valley on January 27, 2012 by Hervé Lebret.